Love the pictures and the author’s conversational style. I found it at my local library. Libraries are so cool. Usually I let Steve pick out books for me but every once in a while I make time to visit the library and I’m always amazed by what I find there. Additional craziness about a dutch embalmer, child skeletons and the tsar of Russia here! Like this blog? Sign up for my newsletter to get a free wallpaper plus access to special subscriber-only sales on my skelly art! 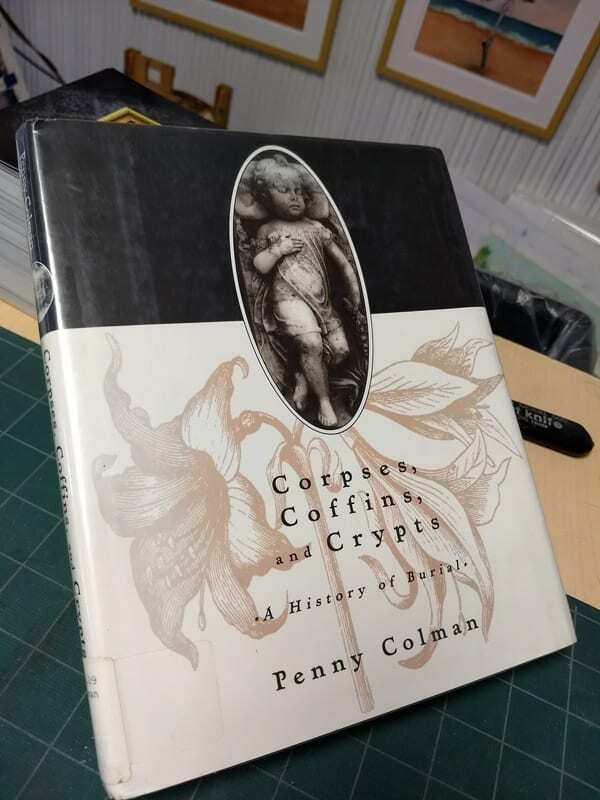 This entry was posted in books, inspiration, Skeleton, skeletons and tagged child skeleton art, coffins, corpses, crypts, skeleton art, what to read on August 30, 2018 by Marie Marfia.